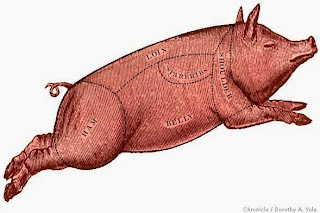 With such continued enthusiasm for our PORK BUTCHERY CLASSES, we've added SUMMER DATES! We are offering the class on TWO dates: JUNE 25th and JULY 9th. Each class will last two hours, from 1-3pm and cost $100. This price includes instruction and pork for you to cook at home. Please call the store at (413)727-3409 to reserve your spot, as these classes fill up quickly.